To blanch fresh green beans, clean the beans with cold water, trim the ends, dip the beans in boiling water and let them simmer for two to three minutes. When crisp, drain and put the beans in ice cold water for three minutes, drain, and serve or freeze. When blanching fresh green beans using boiling water, use a large pot and enough water to ensure that all beans are covered by the water. The amount of water should be at least twice the amount of green beans. Adding salt to the water can increase preservation time and add flavor to the beans. 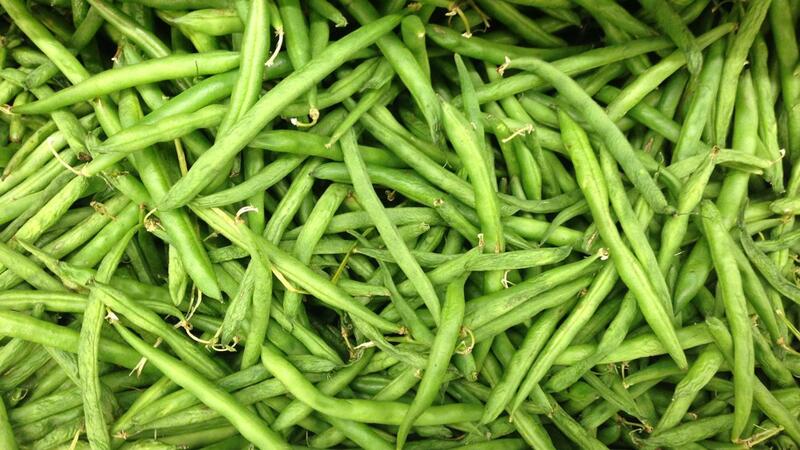 Chopped fresh green beans require less blanching time as compared to whole beans. Alternatively, blanch fresh green beans in the microwave by chopping them into small pieces, then placing them in a casserole dish with water. For half a pound of fresh green beans, use a 3-quart casserole dish, filled with a cup of water. Microwave for six minutes, stirring two times to ensure that all sides are done. Drain and dip the green beans into ice water for three minutes, then drain. Dry the beans using a baking sheet and freeze as required. Blanched fresh green beans can be frozen for up to a year, while retaining ideal shape and taste. How Do You Cook Pinto Beans Using a Slow Cooker? How Do You Cook Turnips?